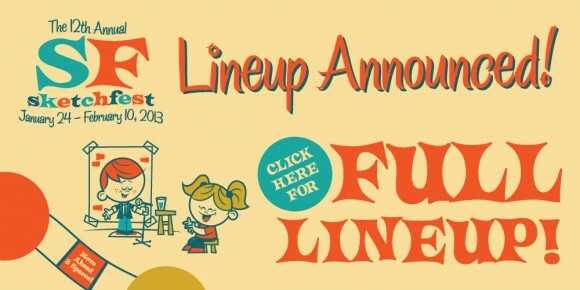 The 12th annual comedy festival, SF Sketchfest, will take place from January 24 to February 10, 2013. The event will take place in over 26 venues all over San Francisco. A little bit of stand-up, a lot of sketch! Due to a change in his schedule, Bobcat Goldthwait will no longer be appearing on this show. Please note: The Champs Podcast has been cancelled due to scheduling conflicts. The Chris Gethard Show with guests, Shannon O’Neill, Bethany Hall, The Human Fish, Murf “The Reservoir Dog” Meyer, Jake Fogelnest, music by the LLC and featuring a mermaid! Teatime Cowboy: Will Franken‘s Farewell Before Riding Off to England! Don’t Let The Comedians Do Story Time!